Getting a deal accepted is exciting, but as every experienced agent knows, a lot of things need to happen before the deal closes. Among them are the studies and inquiries undertaken by the title company detectives. How important are these steps on the road to a timely closing? Let’s start with the first of a two-step process known as the title commitment. 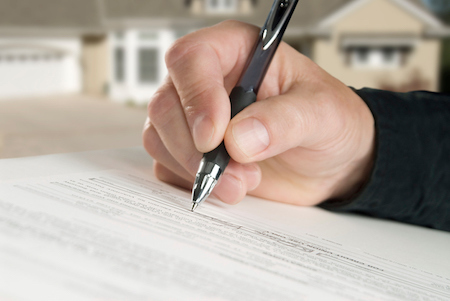 Issued early in the closing process, or as soon as title underwriters have determined that the title of the property in question is legitimate, or free of known defects or encumbrances, the commitment letter signifies our commitment to issue a title insurance policy – in the form of two policies, one for the lender and one for the homeowner. Issued upon closing, the title insurance policy - which is required by the lender is what offers protection and peace of mind to the new homeowner, indemnifying him/her (as well as the lender) against lawsuits or claims against the property that might surface as a result of title disputes. The policy also insures anyone who inherits the property from the homeowner from claims that might be made to ownership. For the lender, this insurance protection lasts until the mortgage is paid in full. For the owner, it stays in effect for as long as the owner or his/her heirs retain an interest in the property.